This post is dedicated to one of my hobbies: astronomy. When i was little kid i was getting inspired from the stars, the planets, and space in general. Later i found my self reading late in night about light speed and time paradoxes. So, last year i said, ok why not looking at the stars using telescopes? Telescopes are not so expensive (small ones) and there is plenty of information on the net to start playing with them. I decided to go with a Celestron 70AZ Astromaster. I selected refractor because it has less maintenance compared with the reflectror (in reflector telescopes, everything must be aligned properly and the mirror loses its reflectiveness by time). After using the telescope for a couple of nights i realized that i should have selected the eq version, as it has better tripod. Moreover, sometimes i 'm missing... light: the telescope is very small for deep space objects, such as nebulas or nearby galaxies. The 90eq was more proper in this case. Among with other parts i bought also a small set of filters and eyepieces, but nothing expensive. Later i bought also a 32mm eyepiece because i wanted to have a winder view of the stars. A moon filter is necessary as it hard to see it through the telescope due to high brightness. In one of my next posts i will describe my first set of eyepieces, and to give you an idea what to expect with this telescope. Apart of that i had one more tool to play with astronomy. Telescopes have really small field of view, starting from 2.5* and going down to 0.9* or less. For this reason i bought a chap set of binoculars: the Celestron Upclose G2 10X50 Porro model. 10 goes for the zoom and 50 goes for the diameter (in mm). Going for bigger binoculars requires the usage of tripod. Even with mine mid-powered set i had problems, just imagine using some monsters of 12x70. The last, but not least tool i used was the sky map of google in my smartphone. It is really help full especially in the first days, that i didn't have any idea on what i was looking. Later i started also using star maps and the Stellarium program to identify the star constellations. What ever you choose as a first equipment at the beginning you will need only your eyes and... a clean dark sky (not so obvious to find...). 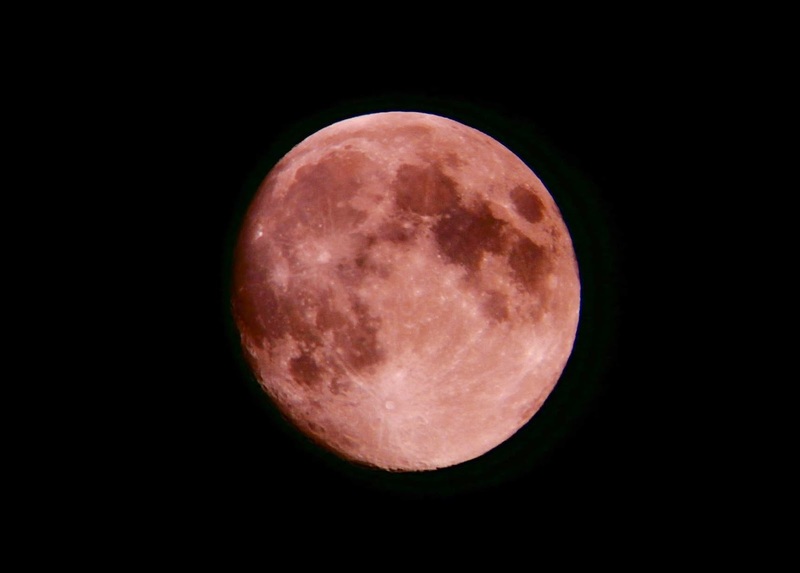 A photo taken using point and shoot camera and the Astromaster 70AZ and 20mm eyepiece.